Whether it is a road trip film, like Little Miss Sunshine or Nebraska, or a return home for a celebration or a tragedy, from Garden State to Captain Fantastic, these movies made free of the studio system have become as derivative as any mainstream genre. Krasinski jumps into the crowded pool of quirky family dysfunction with ease, as both an actor and filmmaker, though it ends up feeling even more formulaic than the sitcom format that he first became known for. All of the trappings of the American independent film industry seemed crammed into this film, and the only saving grace is the enjoyment that comes from watching the cast work, however derivative the material may feel. Landing directly in the “returning home for a tragedy” formula, The Hollars follows struggling NYC artist John Hollar (Krasinski) as he travels home, to a small town in Middle America, upon hearing news of his mother’s illness. 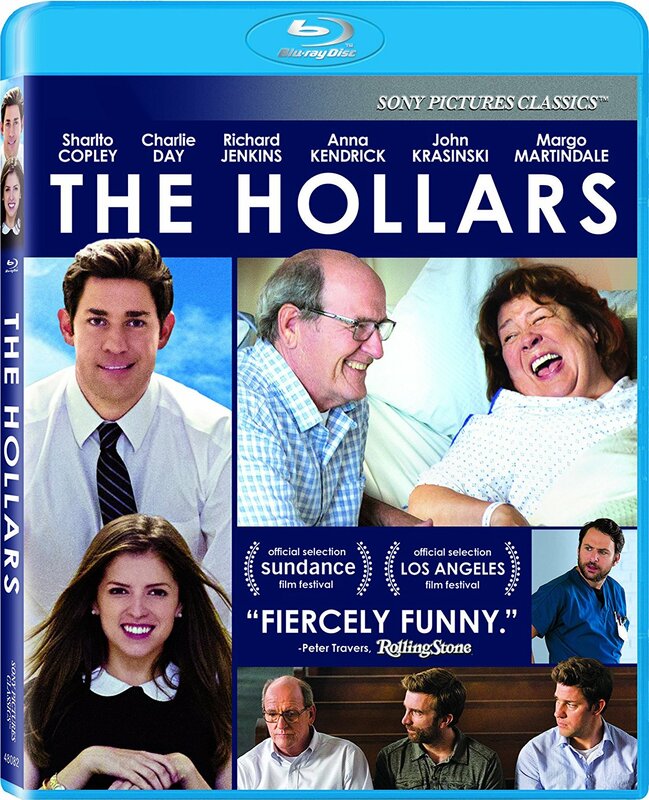 The family matriarch, Sally Hollar (Margo Martindale), is the glue that holds the family together, especially with the news of her illness. Her husband (Richard Jenkins) is a blubbering mess, when he isn’t bickering with John’s brother, Ron (Sharlto Copley), who is in a constant state of arrested development while coming to terms with his divorce and being separated from his daughters. Along with the family dysfunction, John is going through his own personal struggles, which are inevitably resolved through the time he spends in his hometown. Although he has a pregnant girlfriend (Anna Kendrick) waiting for him in NYC, John is comically pulled into a reunion with his childhood sweetheart (Mary Elizabeth Winstead) when invited to dinner by her new husband (Charlie Day), who also happens to be his mother’s nurse. These situations begin to feel more like showcases for the impressive cast that Krasinski was able to assemble than necessary to the narrative. While they are all entirely capable of carrying each scene to completion with enough skill and dedication, the individual scenes don’t always work together as a whole. For those who haven’t watched an obscene amount of films, as I have, there is likely to be more enjoyment to be found in The Hollars. Others will likely find distraction in the skill of the performers, even if the overall product is not as memorable as one might hope. At the very least, Krasinski has gathered an enjoyable cast to watch, and given himself another opportunity to play another likeable everyday man. The Blu-ray release of the film comes with a Digital copy of the film, as well as the extras included on the disc. Along with two featurettes that seem focused on Martindale’s performance above all else, there is commentary track with Krasinski and the co-star. Martindale and Krasinski are also a part of the LA Film Festival Q&A which is included in the extras, with Kendrick joining them.